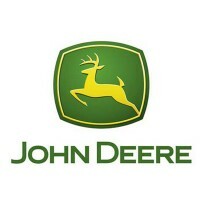 John Deere, the brand name of Deere & Company, is one of the top machinery companies in the world. It manufactures and distributes a wide range of heavy equipment for agriculture, forestry, construction, and landscaping. It also produces diesel engines, implements, and utility vehicles. The company also provides rental sales services and non-equipment loans. Deere & Company can trace back its humble beginnings back in 1837, when John Deere, a blacksmith from Vermont relocated in Grand Detour, Illinois. He set up a shop and created farm tools appropriate for mid-western soil. After 180 years, the simple business transforms into one of the leading companies in industrial machinery. The establishment operates in over 30 countries. They employ more than 60,000 worldwide, half of which are in Northern America. Forbes, a global media company, recognized the corporation as one of the best employers in America. It was also awarded as one of the most ethical and admired companies by the Ethispere Institute and Fortune magazine, respectively. The company offers competitive compensation based on performance. Benefits packages include medical and dental coverage, financial resources such as pension and 401k plans, and life insurances. Vacation days depend on the employee’s tenure. John Deere does not just make good products; they strive to uplift the lives of their employees too. Aside from generous pays and benefits, they also provide job stability, work-life balance, and opportunities for career advancement. The company do not discriminate based on gender, age, race, religion, or sexuality. How old do you have to be to work at John Deere? Interested applicants should be at least 18 years old to be eligible to apply. The company offers development programs for new graduates. They also have internship programs and part-time opportunities for students. Various career opportunities are offered by the company. They are actively looking to hire people for their factories and offices. Most jobseekers apply in Sales, Customer Service, and Manufacturing. There are also available jobs in other departments such as in Shipping, Logistics, and Marketing. Listed below are some of the most common job positions. Service Representative: A Service Representative handles inbound calls from customers, dealers, and suppliers. He researches and resolves inquiries on the company’s products. Additional duties include recording information online to track client’s transactions and issue resolutions. He also provides assistance to new merchants and offers training to existing customer and channel partners. Credit Processing Specialist: A Credit Processing Specialist is responsible for responding and resolving troubleshooting issues and requests. He maintains customers’ account and provides support when necessary. He handles inquiries and requests from internal staff, suppliers, and customers. He documents customers’ credit data and other financial information. Digital Architect: A Digital Architect works with a team tasked to construct the overall structure of the systems and databases used by the company. They outline flexible technological roadmaps and assess innovations in information technology. They generate Application Programming Interface (API) conditions for the company’s digital solutions. Additionally, they work together with other teams to safeguard the technical aspects of the company. Software Engineer: A Software Engineer develops new software programs to support the products offered by the company. He also provides solutions to technical problems. He contributes to the group planning process of new products and enhancements to existing products. Specification Analyst: A Specification Analyst provides training and consultations on standards, procedures, and practices vital to the process of change notification. He analyses engineering data and compose specifications for Product Delivery Process (PDP) / Product Data Management (PDM) tools. A Specification Analyst audits and observes changes in Engineering to confirm the reliability and consistency of data. Product Engineer: A Product Engineer coordinates with other engineers to develop new hardware and software solutions for different products. He is in charge of designing and testing major functions of new innovations for agricultural equipment. Manufacturing Engineer: A Manufacturing Engineer leads projects to improve performance, to prevent occurrence of downtime, and to increase the reliability of the system on the production line. In addition, he works together with a support team to positively control the efficiency, quality, and safety metrics of the company. Environmental Engineer: An Environmental Engineer ensures that the company complies with environmental regulations. He furnishes documents for the Environmental Management System (EMS) requirements. He is also responsible for the development of sustainable programs beneficial to the community. Electrical Design Engineer: An Electrical Design Engineer develops the electrical components and systems for the product line. He will have the opportunity to use Creo and Simulink as design and development tools, respectively. He is also responsible for writing reports to aid other teams to understand the workings of machines and equipment. Production Supervisor: The Production Supervisor is responsible for overseeing the workforce. He has to ensure the employees meet the production schedule and the products pass quality controls. He also has to provide adequate trainings and instructions for the people to be effective in their jobs. The application process is simple. Visit the company’s website and go to the Careers page. You can start searching through the available employment opportunities. Then, sign up to submit an application. Follow the instructions given to ensure your application process. Applicants can only apply for a position in the factories, offices, and facilities through the company’s job search page. If you are interested in working in one of John Deere’s independently-owned dealerships, you may visit their respective stores or websites for available job opportunities. Make sure all the details you put in your Candidate Profile is accurate and up-to-date. You can also add documents or certifications related to the position you apply for. It is important that you prepare and upload a formal resume into your Profile. Include your skills and relevant work experiences. Put also a list of character references. Only apply to positions you qualify for. Read and understand the pre-assessment questions before answering. If you qualify for an on-site interview, dress in business attire to look your best. The company has a very mid-western, somewhat laidback culture. It continues to be family-oriented. It prides itself in the inclusivity and diversity among their employees. They also initiate a safety culture where everyone watches out for one another and, follows set security guidelines. John Deere made history in 1998 as the first agricultural company to have earned 1 billion US dollars in profit. In 2011, the company invested billions of dollars in research and development worldwide. Deere & Company continue to make innovations to provide their customers with efficient equipment and technology. Now, the company leads a cutting-edge revolution in “smart farming”. Notably, the most well-known fact about the company is their logo of a leaping deer. This logo signifies the company’s resolve to remain as a world leader in manufacturing and distribution of farm machineries and industrial heavy equipment. John Deere endorses a more favorable standard of living and promotes environmental sustainability. The company is committed to the people especially to those who have roots in the farming culture. It persists to serve their employees, customers, the community, and the environment. 1 How old do you have to be to work at John Deere?